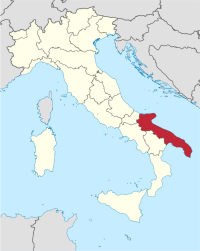 Negroamaro is a red-wine grape originating in the Puglia region of southern Italy, most notably in the Salento area. It may have been brought to the region as early as the 7th century B.C. from Illyria (a region, and people, then located in the western Balkans). Nowadays, Negroamaro is an important grape of the region; it is sometimes bottled as a monovarietal, but is more often found as the dominant ingredient in regional red blends (such as Salice Salentino), along with Malvasia Nera and sometimes some Sangiovese or Montepulciano. It is also sometimes vinified as a "rosato" (rosé), and may be "frizzante" (slightly sparkling). Negroamaro typically produces red wines of deep color with a richly perfumed nose and an earthy quality, sometimes said to have an ovetone of bitterness (though that is likely subjective, since in Italian amaro means "bitter", even though the name component is thought to be from Greek maru or mavro, meaning "black", and the wines are rarely if ever even slightly bitter). The tannins are usually light or "soft". Factoid: Negroamaro may be loosely related to Sangiovese and the white type Verdicchio. "The grape can produce wines very deep in color. Wines made from Negroamaro tend to be very rustic in character, combining perfume with an earthy bitterness. The grape produces some of the best red wines of Puglia, particularly when blended with the highly scented Malvasia Nera, as in the case of Salice Salentino." "Negroamaro is valued for its deep color, medium-full tannins and dark berryfruit flavors. The variety can also add earthen tones that can cross over into slightly medicinal flavors. It is mildly aromatic and can produce complex wines that show characteristics of ground brown spices such as clove, cinnamon and allspice." "The two words that immediately come to mind when I drink a bottle of negroamaro are power and rusticity. . . The [typically high] alcohol is a sign of grapes that get very ripe, and the fruit and aromatics are definitely those of a hot climate vine. I often find notes of jam, prunes and other dried fruits. But there is also a very earthy component with notes of black olive, tobacco and leather. And like most grapes that are quite tannic, they usually have to spend some time in oak barrels to soften them up, which adds an element of spice. But this range of aromas and flavours can mean that the wines, when made entirely with negroamaro, can be a bit sombre. This is why the grape is often blended with brighter, or fruitier grapes that can liven up the ensemble. One of the appellations that does this with great success is Salice Salentino, where negroamaro is blended with the aromatic malvasia nero. The end result is quite powerful wines." "It’s a robust red that’s not tannic or astringent even when young, and has an appealing bitter black cherry finish. This makes it a complete contrast to the many over-ripe New World wines that finish sweet, and a great choice for the remainder of the “grilling season” or to pair with hearty wintery fare. . . Duccio Armenio, from Slow Food and an expert on Negroamaro, . . . describes the wines made from Negroamaro as 'harmonious and complete' because the color, alcohol, polyphenols and acidity always comes together. 'Its polyphenolic content is comparable to Barolo,' according to Armenio. 'But despite the high polyphenols, it’s a versatile grape that can make early drinking or ageable reds, a rosato, as well as an Amarone-like wine.'" "Single variety Negroamaro wines are a deep purple in color, characterized as bold, intense and “weighty”. The fruit flavors are typically plum, cherry, and blackberry. Occasionally the wine may exhibit earth notes or even medicinal flavors. Negroamaro may be at its best when blended with Malvasia Nera, Sangiovese, or Montepulciano. Blending with these varieties can add tannins, resulting in a wine with more structure and age worthiness. This is a big wine, and should be paired with food that can hold its own. Its biggest asset may be its price tag – delicious and affordable." "Negroamaro has a good content in coloring substances, quality which is evidently shown in its wines with intense and brilliant colors, as well as a medium-low transparency. Also the content in polyphenols is good, giving the wines a medium astringency which can sometimes be quite evident, in particular when the wine is fermented or aged in cask. The structure of Negroamaro wines is of good body and also the alcohol volume is not low, reaching a quantity that can sometimes be higher than 14%. " "As for flavor profile, wines made with Negroamaro are light to medium bodied, with sun-soaked fruit that can be dried, dark, and bright all at the same time, and the mouthfeel is striking: it feels, at times, like you're drinking silk. Other common flavors are smoke, plum, and herbs. These wines are intensly friendly and approachable." "As to its flavour, said Luigi Rubino, of his eponymous estate, and president of the Puglia Best Wine Consortium, 'you can feel the true character of negroamaro – it’s rich in spicy notes, red fruits and blackberry.' Armenio added it also 'has spicy notes, tobacco, coffee and dried prunes, and like all big wines, they need some years to come out.' The tannins of this variety, which ripens later than primitivo, are not to be trifled with. Marco Sabellico editor of Gambero Rosso added that the heritage of old negroamaro vines was very important for the ageworthy character of the best examples. Vineyards of 50 to 90 years old are quite common." "Negroamaro gives deeply colored, richly flavored wines, full of character. The finest examples have a dark, bitter chocolate quality (hence the name), but with abundant plum, prune and savory complexity to balance. Some of the best come from Salice Salentino and Squinzano, down in the 'heel' of Italy's boot. The grape is often blended with Malvesia Nera and Primitvo (southern Italy's other star reds), for a richer complexity and softness." "It’s fair to say we had mixed feelings about these wines. For me, the best were straightforward and uncomplicated, earthy and refreshingly bitter with smoky flavors that reminded me of licorice and dark fruit. . . The bigger question was why more of the wines weren’t better. We all thought that in too many of the bottles, the characteristic dusty bitterness of the negroamaro grape had been sanded away, leaving wines that seemed generic expressions of nowhere. Was this evidence of an effort to tailor wines for an international audience? 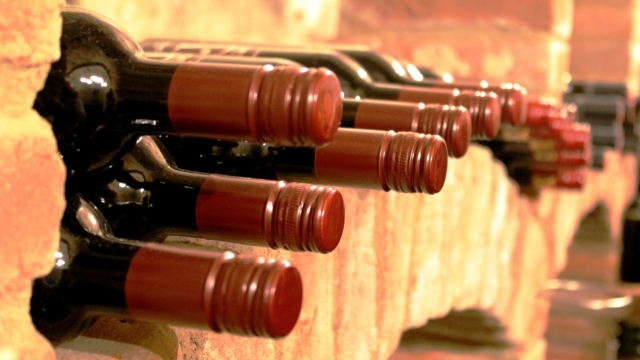 Hard to say, but discerning wine lovers want distinctiveness and character, which too often was lacking." There are quite a few blends with Negroamaro at 80% or more, and many come quite well recommended; but we have here stuck to 100% monovarietal Negroamaro bottlings—though that has somewhat cramped our choices—on the theory that if you are not already familiar with the type, you will want to sample it in isolation. By and large, blends from the same makers will work out well also. In fact, most bottlings labelled "Salice Salentino" will satisfy. It also seems that because wines from Puglia are not yet well known, there is a perceptible scarcity of writeups on them, as a class or individually. ♦ A sleek, elegant expression of Negroamaro, this opens with aromas of perfumed berry and exotic spice. The bright, juicy palate doles out ripe red cherry, crushed raspberry, clove and white pepper alongside a backbone of polished tannins and fresh acidity. 89 points. ♦ Intense ruby red with tender, soft hints of violet. Red fruit with delicate herbaceous notes with a wide range of aromas. Nuanced and persistent, it starts out softly and evolves into a delicate yet confident finish with classic Negroamaro notes. ♦ Ruby color with violet hues; the nose is frank, with hints of red berries and hints of herbaceous. The taste has a pleasant persistence and softness that make it ideal as a combination with stuffed pizzas and soups. ♦ The nose here is like black rubber, cherry, and roses, with a faint hint of leather. What a start. The front end is juicy, with red berries. Then something happens in the mid palate – it turns velvety and smooth, making the whole mouth feel coated with velvety iodine. Yeah, it’s different. The leather and red fruits melt into darker, chewy dried fruits (think prunes, dates, and currant), joined by a salty minerality. The finish carries a slight hint of sweeter amaros such as Nardini or Nonino, and a soft hit of white pepper. Such a fascinating wine. ♦ While Negroamaro is often made into overly robust, fatty wines, Schola Sarmenti has made it a point to create a bottling that possesses depth and finesse. The end result in this case is, to put it plainly, a bona fide winner. I cannot help but be reminded in some ways of Argentinian Malbec, as the wine immediately unfolds into layers of dark fruit, violets and tobacco. However, as far as I am concerned, Schola Sarmenti's Negroamaro has every Argentinian Malbec I've ever had beat in bouquet, flavor, texture, and structure. 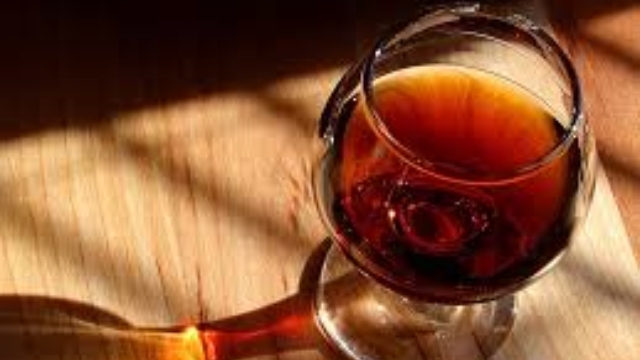 In Italian, “amaro” means bitterness; which I find follows through pleasantly on the finish, further enhancing the wine’s nuances. ♦ This tastes as though it is made far from the meddling hands of a North American wine consultant interested in crowd-pleasing smoothness. And it was. Puglia, Italy’s heel, specializes in negroamaro, a sometimes bitter red grape with solid structure and savoury essence. This one’s medium-full-bodied and juicy, with dark fruit, cherry, spices and a hint of licorice. Most conspicuous, though, are the tannins, which deliver their astringent wallop to the sides and bottom of the tongue. Decant it if you can. It’s a good value. 89 points. ♦ [Natalino Del Prete's] shocking Primitivo and Negroamaro are so un-fiddled with that they distinguish themselves in one sip for what they are not: over-polished and over-contrived. Every nuance and every flavor note that can be coaxed out of his grapes – both good and what some other vintners would labor to filter out – is in there and tasting either is a Square One primer in the true nature of the grapes…and the Negroamaro (a grape that even Italians consider eccentric) in his “Anne” is everything that quirky, uber-expressive grape can offer. ♦ [Google-translated from Italian:] [I]t is a racing wine, fresh and rough and agile enough to be a convivial wine. The delicious succulence is its characteristic, with a slight blackening (it is called Negroamaro, it will be for that?). Very degreasing and pleasant. So we do things with order: Intriguing scents of fruity maturity and some hints of acetaldehyde (which I like so much but just so much), are drinking, and the thought is that maybe a bit of grasshoppers instead enter with bitter roughness of bitter and slight tannic shock, cool Residual acidity (not imposing but present) and opens festively into the palate, dusty and mineral. Good and little, is one of those wines to be bottled in the liter because the seventy-five [cl.] is little. ♦ Negroamaro means “black-bitter,” and while the wine is certainly dark in color, it’s not really bitter at all. This one is made from grapes grown on 70-year-old vines without the use of any pesticides or herbicides and fermented naturally. It’s bottled unfiltered for a beautifully textured mouthfeel to go with the dark fruit, spice and funky earth notes the wine shows. ♦ [Google-translated from French:] Natalino is a very traditional farmer who owns a small estate in Puglia, an area known for producing "cheap" wines, cheap and often not great fun to drink. Obviously, to stay at such low prices, the wines of the region usually come from the field where the grape harvest is mechanical, where the vine is chemically treated and the production is carried out in a massive tank (think very very large tanks!). The area of ​​Natalino, unlike the trend of the region, has remained very small (10 hectares on which 3 are olive trees), its vines are certified bios, and as a bonus, its prices have remained very small, often below neighbors industrial. At Del Prete, yeasts are natural, and very little SO2 is used. The wines very often show their "wild" side and remain perfectly balanced. ♦ [This wine] is your red for every day. From the Puglia, Italy's stiletto heel, where negroamaro (in this case with a dollop of malvasia nera and sangiovese) is often blended to make good-value wine with rustic flair, this is one to see out the last hot days of summer and usher in the beginnings of the autumn season. It has some brightness, is imbued with the smell of furniture polish, and offers a big mouthful of sweet fruit and hints of roasted chestnut skins. ♦ The body was a bit light like a Pinot Noir but a delightful wine particularly for the price point. I enjoyed it; easy enough to have on its own, it stood up to the blue cheese, would go well with lightly-seasoned grilled meats or pasta dishes such as spaghetti. ♦ A VERY nice Italian red that is not Chianti. This blend of Negroamaro, Malvasia Nera and Sangiovese grapes has a lovely bouquet of red fruits and hints of toasts. It is quite fruity yet mellow but nor is it too young. This five-year-old red wine from the Adriatic coast on the heel of the Italian boot in Puglia is great especially with mature, hard cheeses. ♦ This deep, dark negroamaro from the Puglia region in Italy is a handful, and demonstrates the stronger character of southern Italian red wines. Weighing in at 13% alcohol, this is on the stronger side. Color: Deep, deep red, like black cherry juice. Nose: Opened with a typical Italian attitude – a mix of earth, olive, leather, fruit, and dark berries; and sporting a pretty good kick from the higher alcohol content. Taste: Fresh out of the bottle was a bit harsh, without very distinct personality or character. After decanting, the alcohol mellowed and many flavors emerged: black cherry, vanilla, currant, slight oak. Feel: Starts tannic and a bit of acid, with decanting gets surprisingly smooth and velvety. Design: Standard bottle, tall and maybe a bit thinner than normal. The label is stylish. Summary: Overall a decent value wine, however allowed some time to breathe this wine mellows into a very nice sipper. ♦ Negroamaro Maru is characterized by simple, sweet-tasting fruit aromas of blackberry jelly and raspberry. Those pretty fruit flavors are backed by soft tannins and a chewy texture. 87 points. 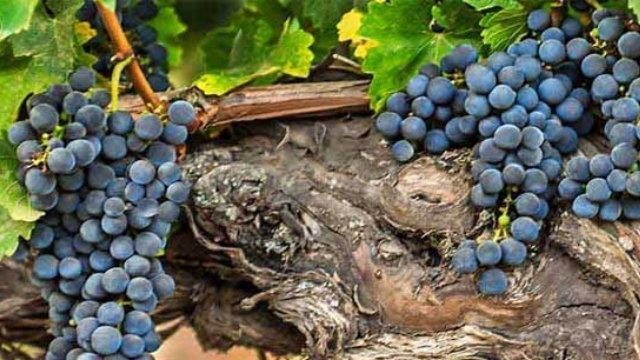 ♦ This is Italian wine in all its glory – cheap, quality stuff made with a grape (negroamaro) that most people have never heard of from a region (Salento) that is equally as unknown. It’s dark, earthy, and plummy, with low alcohol (13 percent), trademark Italian acid, and without many tannins to get in the way. This cries out for food — sausages, ragus, roast pork and the like. Highly recommended, and a candidate for the 2010 $10 Hall of Fame. ♦ [Google-translated from Italian:] Wow, I want one of this red case! Transparent in color, it has aromas of the Mediterranean, red fruit, and then, in the long run, eucalyptus, more in relief. The mouth is smooth, speziatissima, earthy, very long. The cleanliness is exemplary, finesse captivates me. The drink is absolute. I like it so much, so much. Rated three "Happy Faces". ♦ Aromas of plum, black cherries, tobacco and vanilla made this wine extremely straightforward. It didn’t help that its juiciness and overall smooth feel didn’t leave anything to the imagination. Not a poor wine, but just very California in style. I expected much more earthy notes and some rusticity on the palate. It feels like this wine is trying to be something other than what it wants to be, but I do think this would be a great stepping stone wine for your Zin or Cab drinkers. Ultimately though someone looking for an Italian wine that wants for those raw and lusty reds from southern Italy might be disappointed with this particular bottle. ♦ Tannic but pure with inviting aromas of dark fruit. ♦ For better or worse, the Castello Monaci Maru Negroamaro would probably make a great "ringer" in a tasting of California wines. It's richer and more fruit-forward than most Italian offerings, at times almost fig-like. But it provides great depth and structure for the price, and would pair well with anything off the grill. ♦ Maru (Salento IGT) highlights Negroamaro (100%) in its dark guise – black cherry and tobacco in the aroma and the mouth, with good structure. The 2008 tasted [in 2009] very young – drinkable, but sure to improve with a little age. ♦ Our No. 1 [Negroamaro] wine, the 2011 Perrini Salento Rosso, was light and inviting, with the signature spicy bitterness that we sought in the wines. It was also our best value . . . Spicy and refreshing, with a light, inviting texture, a touch of oak and a pleasant bitterness. ♦ Wines from the region can sometimes be very heavy and alcoholic but the Perrini was not. Coming in at a very balanced 13.5% alcohol, it featured very bright cherryish fruit, a touch of spiciness and good acidity giving it shape. 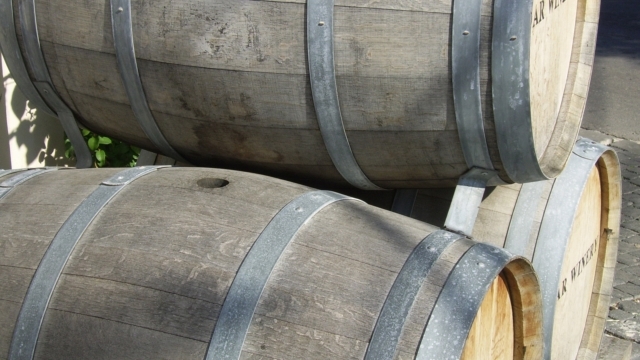 It is made from 100% organic grapes and fermented with wild yeasts in stainless steel tanks. The Perrini paired nicely with the baked mussels with breadcrumbs we had for an appetizer. ♦ The nose is deep, pure and impressively focused in its mélange of dark berries, a bit of tree bark, cherry skin, gentle notes of woodsmoke, complex soil tones and a lovely spread of exotic botanicals in the upper register. On the palate the wine is deep, well- balanced and full-bodied, with a lovely core of fruit, modest tannins and fine length and grip on its pure, focused and slightly bitter finish (one of the characteristics of this grape). This is really a lovely, idiosyncratic wine of poise and impeccable balance. 90 Points. ♦ I’ve never had a Negroamaro with such pure fruit flavors; usually they are a bit unbalanced, rustic and somewhat reflective of their name. This one is fruit focused with blueberry and a variety of other dark fruits allied to a spiciness reminiscent of sprigs of rosemary. The tannin and acidity are both low and the finish is fruity. The acidity may be a little low for it to be the most versatile red wine but it will be flexible and I think it would be great with pasta and sausages or a puttanesca sauce. ♦ This was pretty good - juicy, nicely balanced, briary (in a good way), definitely a little brooding and rustic, and crying out for some kind of rich stew that we didn't have on hand. ♦ Vito Francesco and his sister Mila Perrini converted their family’s 50 hectares to organic viticulture in 1993, long before many in the area had even considered it. They built an underground cellar, definitely not the norm or tradition in this region and, more importantly, at huge, but necessary expense to make truly subtle wines, as opposed to the often too-heavy-handed fermentations of the native red grapes. Their vines are 20-25 years of age and are spread over a number of zones in the hills and shoreline around Castellaneta, near Taranto. The vineyards are plowed in spring months and the yields are kept to around 55hl/ha. The grapes are picked by hand and immediately brought to the cellar in small baskets. The wines are vinified in stainless at controlled temperatures for 12-14 days of maceration. The wine is then aged in stainless and glass-lined tanks. A pure example of how great modern winemaking and tradition can combine to make fantastic Puglian wine. It's not, by reviewer scores, much ahead of any of the wines listed above, but it only costs a bit more. It's the Tormaresca Masseria Maìme Negroamaro Salento.